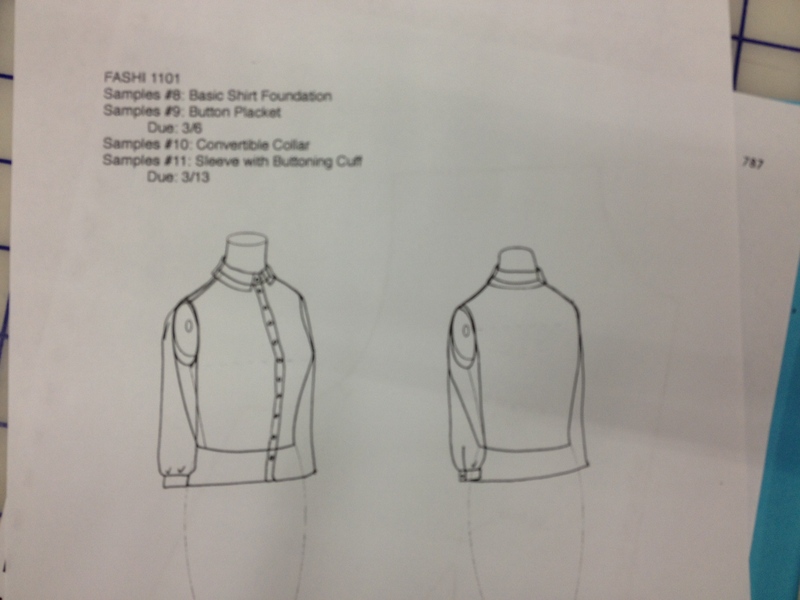 Over the last two weeks, we’ve been working on a blouse pattern in half scale. Then I caught a cold, and fell behind on posting. Sorry about that, guys! These are all technically separate demos, but I wanted to pull them together to give an idea of the full process. We are making this, out of four samples. Well, mostly – we changed the sleeve length somewhere along the way to make it shorter and cuter. 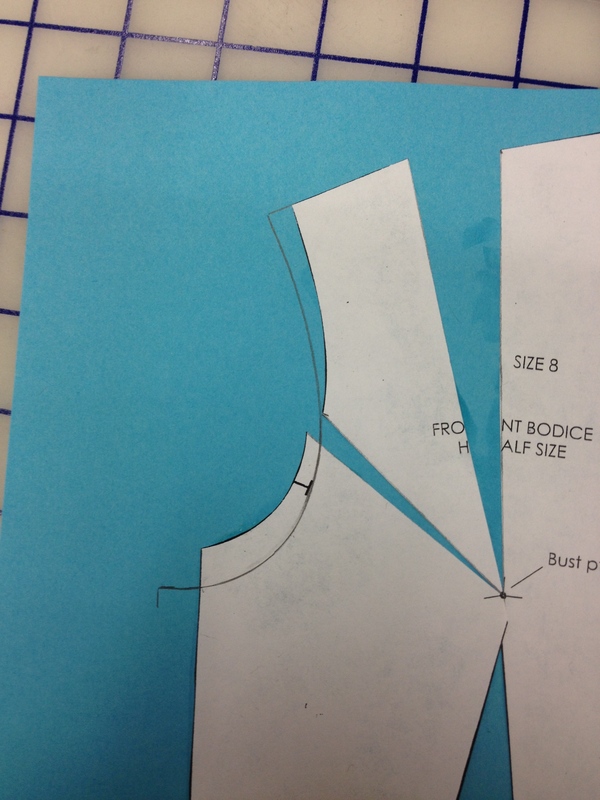 Start with your basic front bodice block. Find the mid-point on the shoulder. 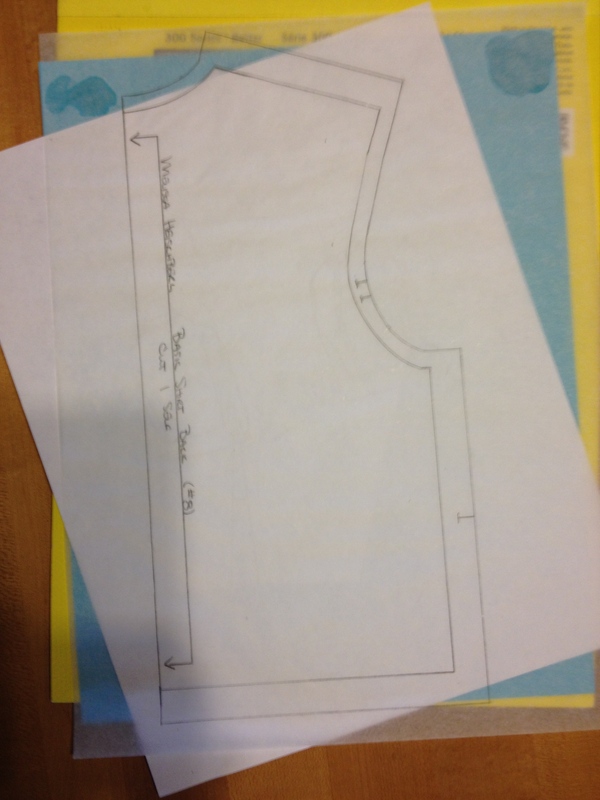 For our half-scale, that’s 1 1/4″ from the neck or the shoulder. Now locate the point where the armscye goes from being mostly straight to mostly curved. 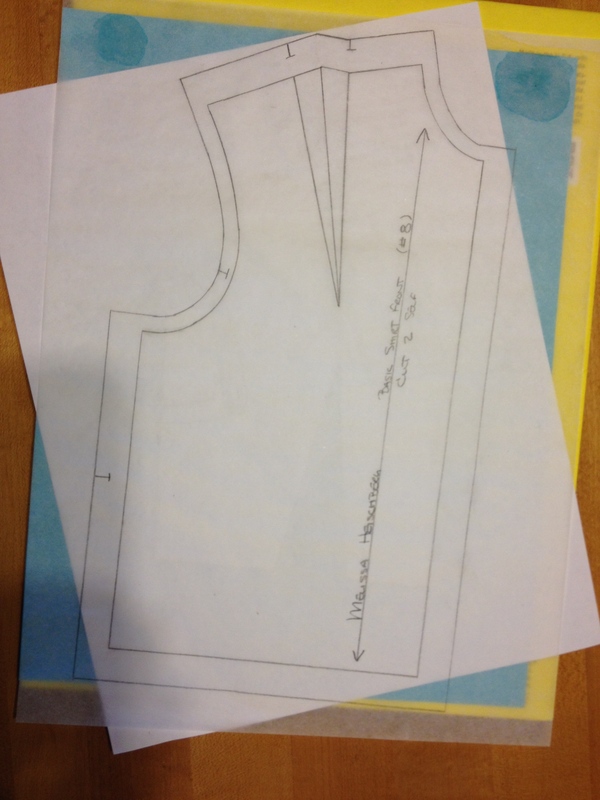 On the body, this is the where the armscye shifts from going over the relatively straight part of the body above the bust into the underarm curve. Mark lines to each of these points. Cut to, but not through, the bust point on these lines, and also from the top of the existing dart up to, but not through, the bust point. 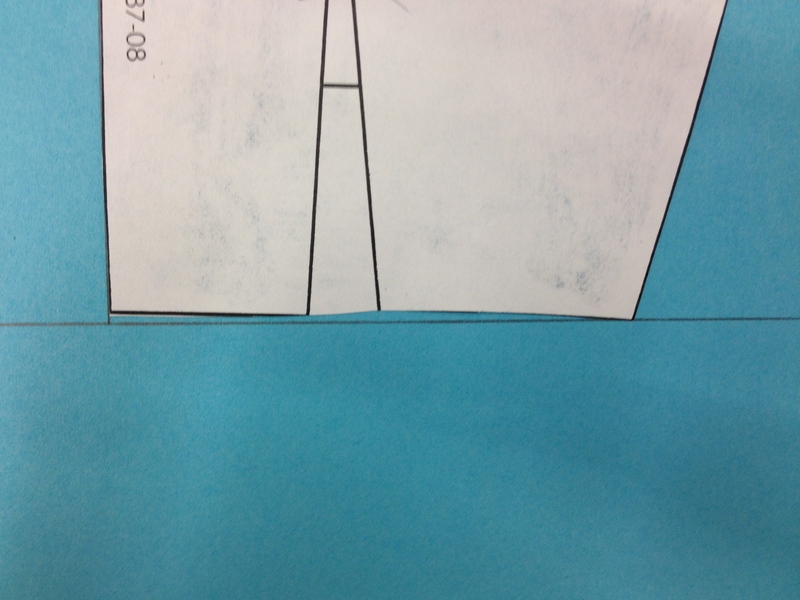 Draw a horizontal guide about 1 1/2″ above the bottom of your colored paper. 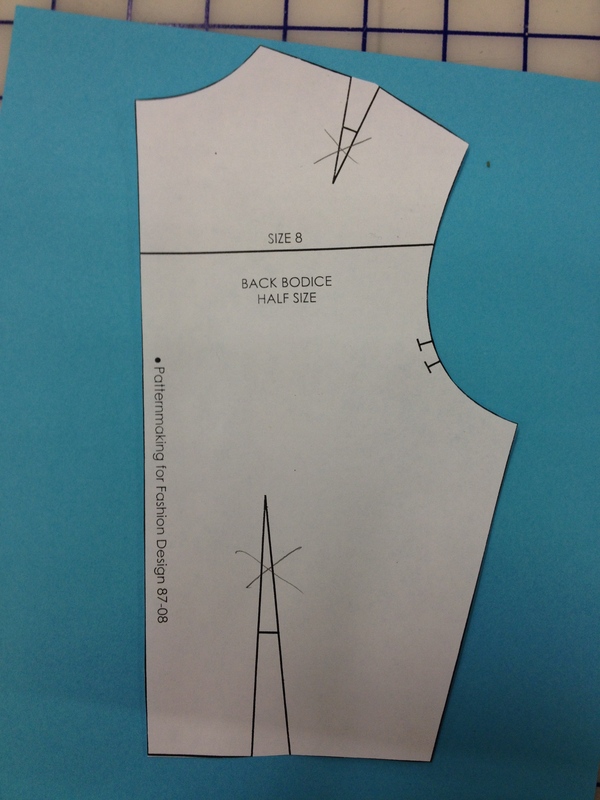 Start attaching your block with the center front bottom on this line. 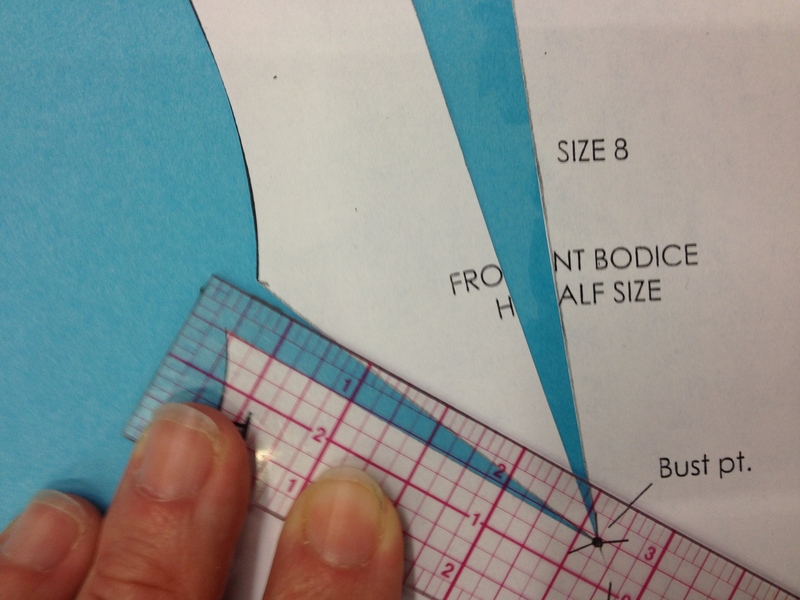 Attach the lower side front to the colored paper with the side corner of the piece on the horizontal guide. This removes the curve from the waistline, and leaves us with enough of a dart left to work ease into the armscye and leave a new shoulder dart for fitting. 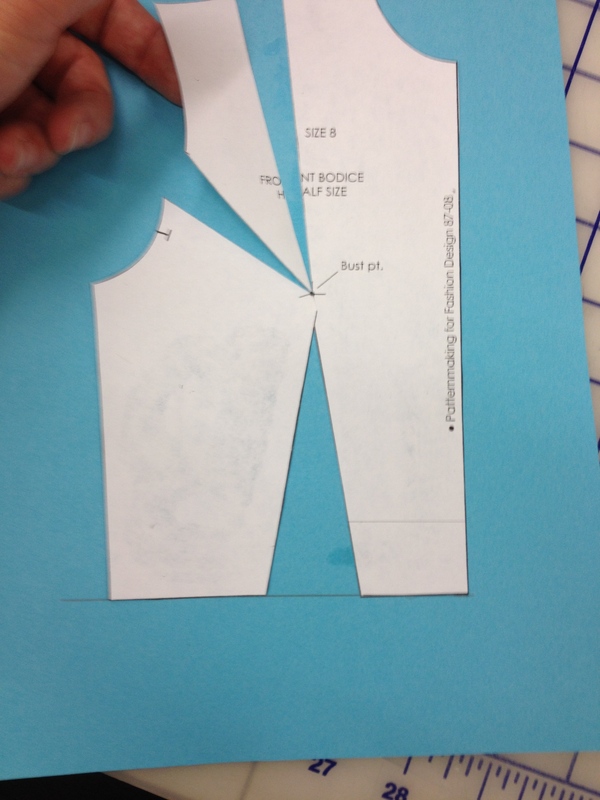 Attach the upper side piece so it is separated from the lower side piece by 1/4″ inside the armscy. 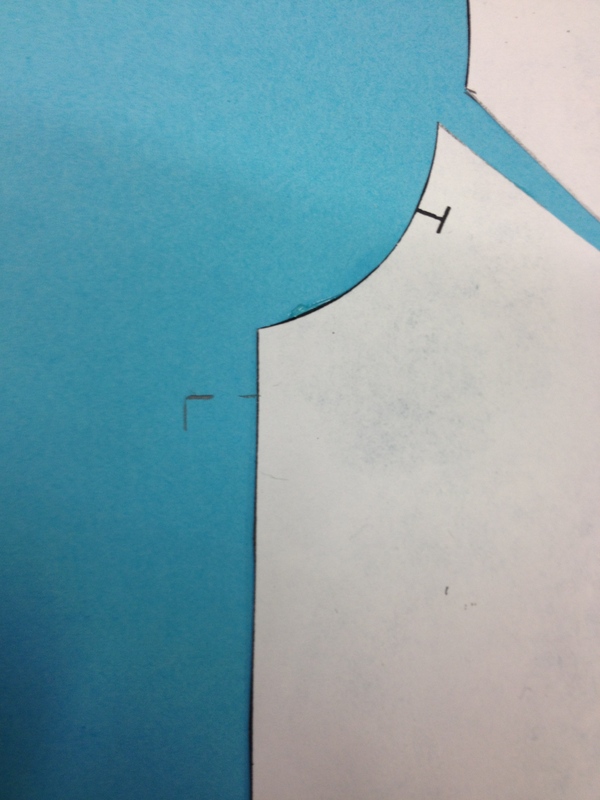 Extend the shoulder by 1/4″, following the the top of the existing piece. Draw in the new armscye. 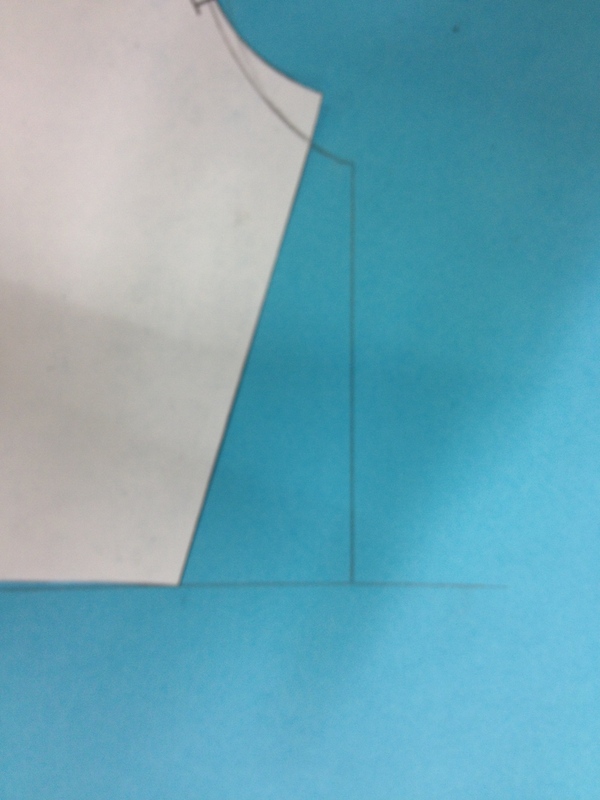 It should start at the 1/4″ shoulder extension, pass through the original bottom corner of the top side front block piece, then curve to meet the new bottom point of the armscye. 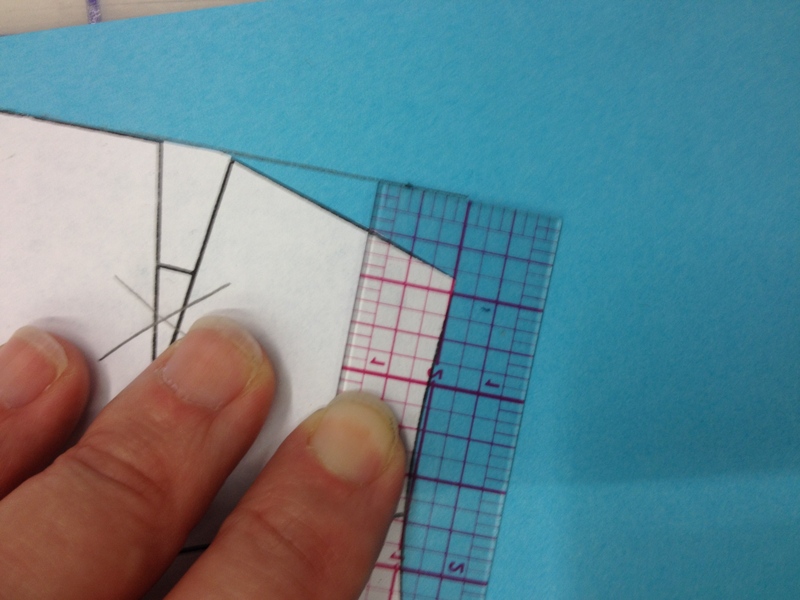 You will probably have to move your curved ruler between drawing the top and the bottom of the new armscye. Square a line down to your horizontal guideline at the bottom of the block. Extend your block at the bottom. This extension is generally 5-7″ on a full sized human being. 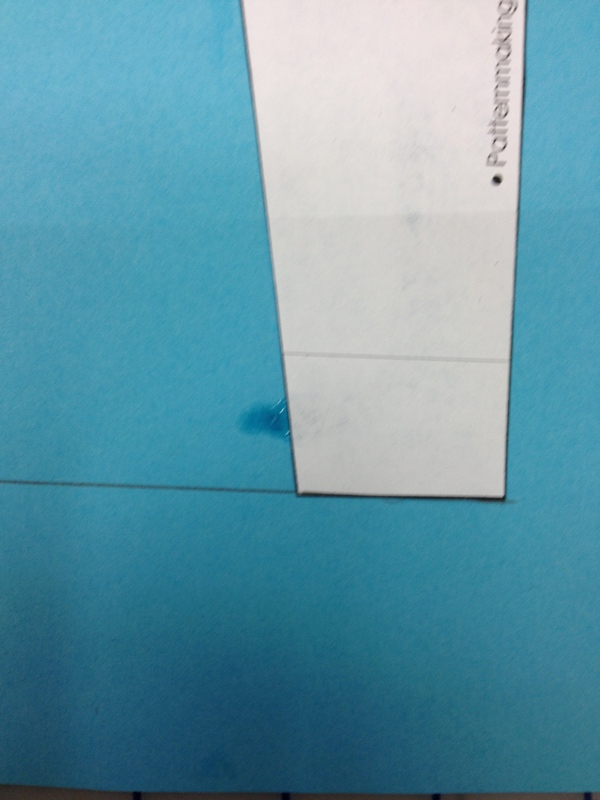 For our sample, we used whatever fit onto our paper. 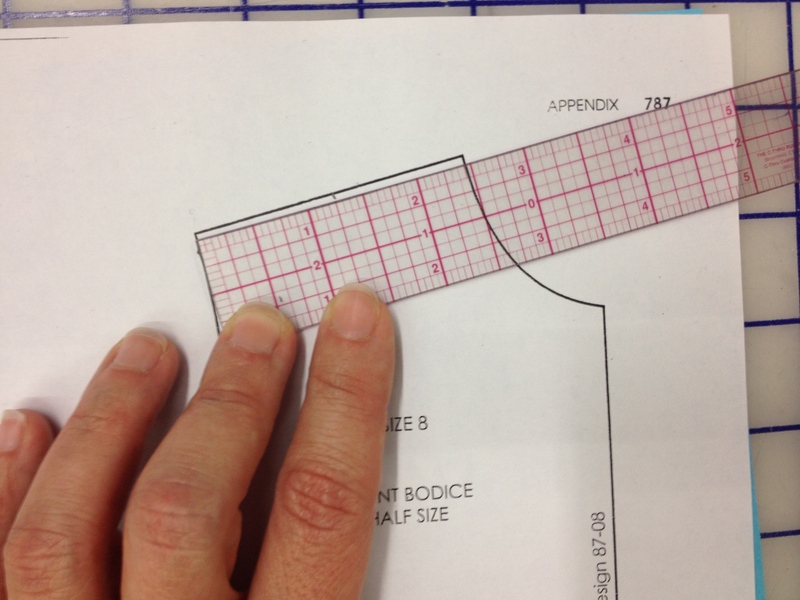 Measure and be sure you remember how much you extended the front block, because you will need to do the same thing in the back. You are now able to finish out the shoulder dart. 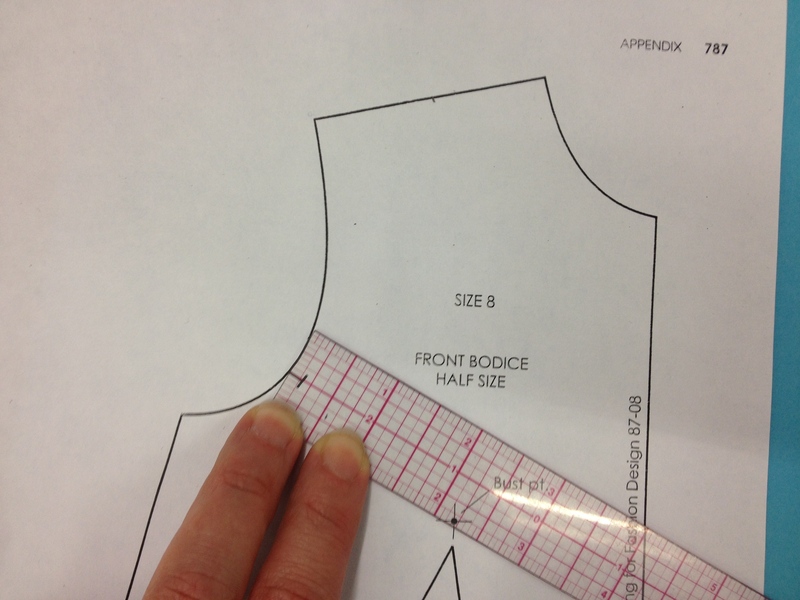 The dart point should be slightly farther from the bust than on a fully fitted garment. 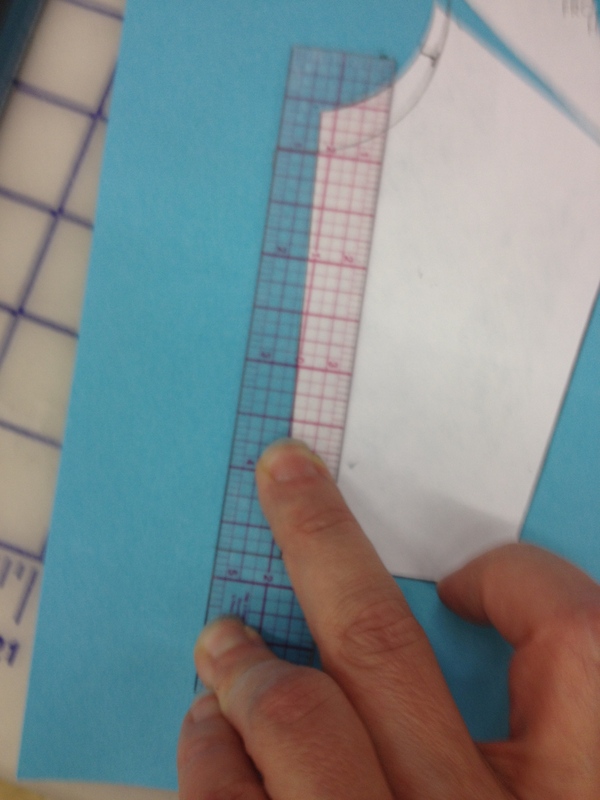 We used 1/2″. 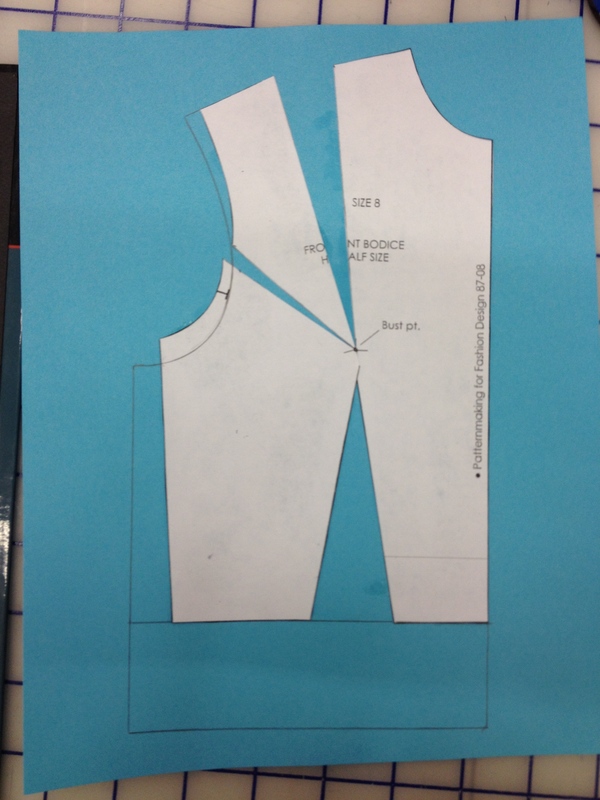 Cross off the waist and shoulder darts. We will not be using them. 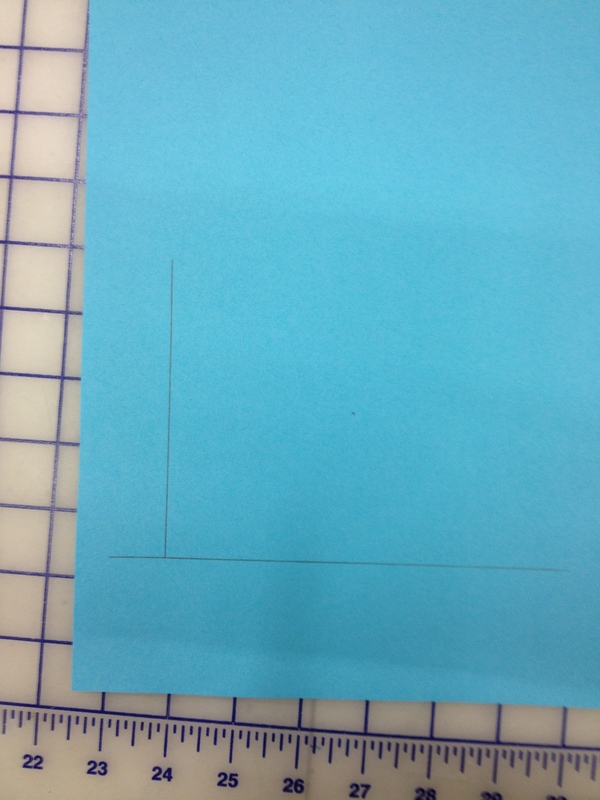 On a new sheet of colored paper, give yourself two guides. They should be absolutely square to each other. 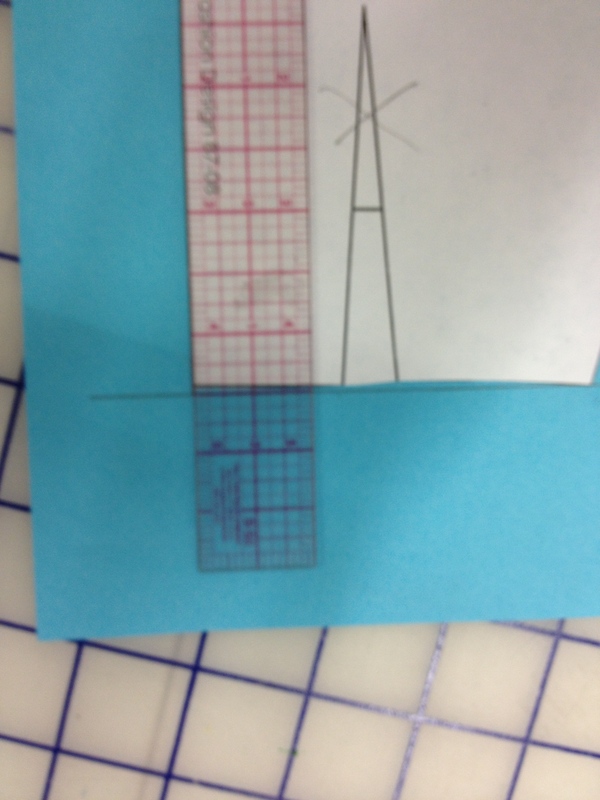 The one on the bottom of the paper should be at least far enough from the bottom for you to extend your block by as much as you did in the front. 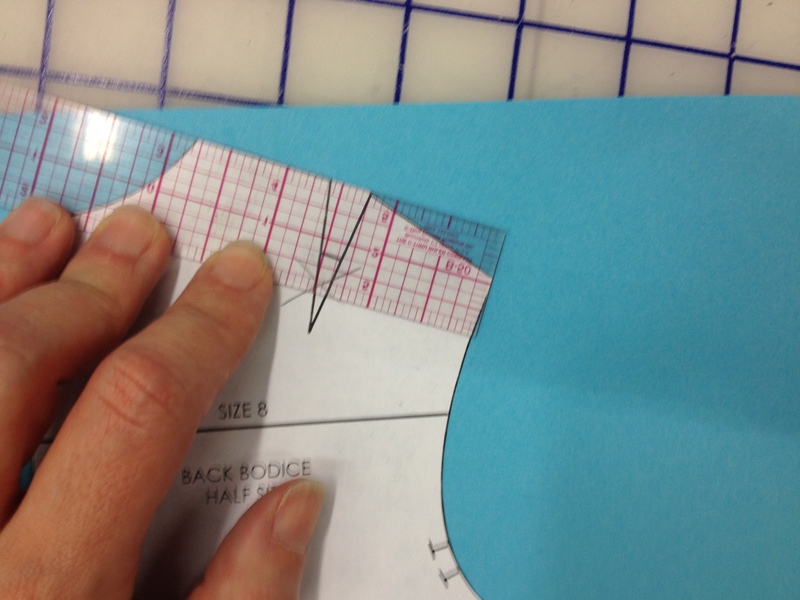 Attach your block to the paper so that the center back is along one guide, and your bottom side corner is exactly touching the other. If you look at the center back bottom corner, you will notice it is not touching the guide. That’s ok. We’re squaring out the waistline again. 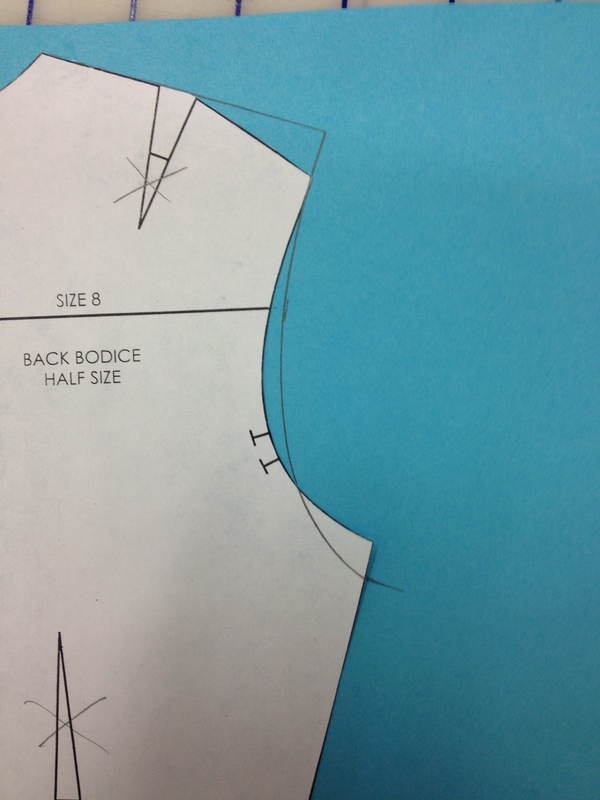 Using the neckline-side of the shoulder as a guide, extend the shoulder line outward. 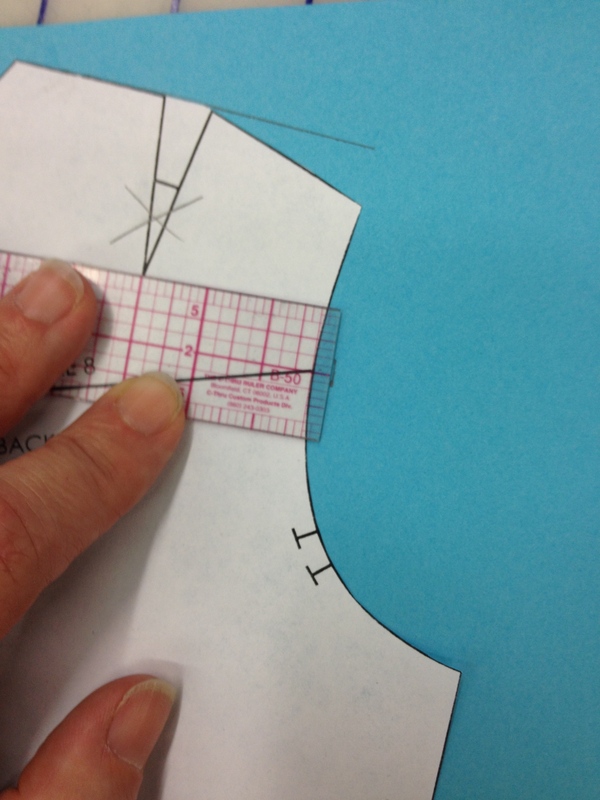 At the Horizontal Balance Line of the shoulder, make a guide 1/8″ from the edge of the armscye. Just like in front, you need to make a new bottom armscye point that is 3/8″ below and 3/8″ out from the existing bottom armscye. 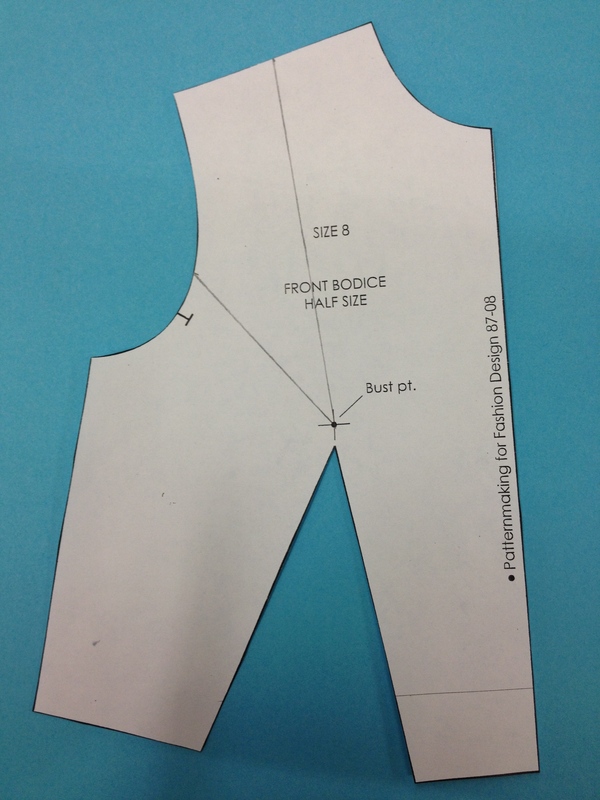 Smoothly connect the extended shoulder line, the 1/8″ guide, and the new bottom armscye point. 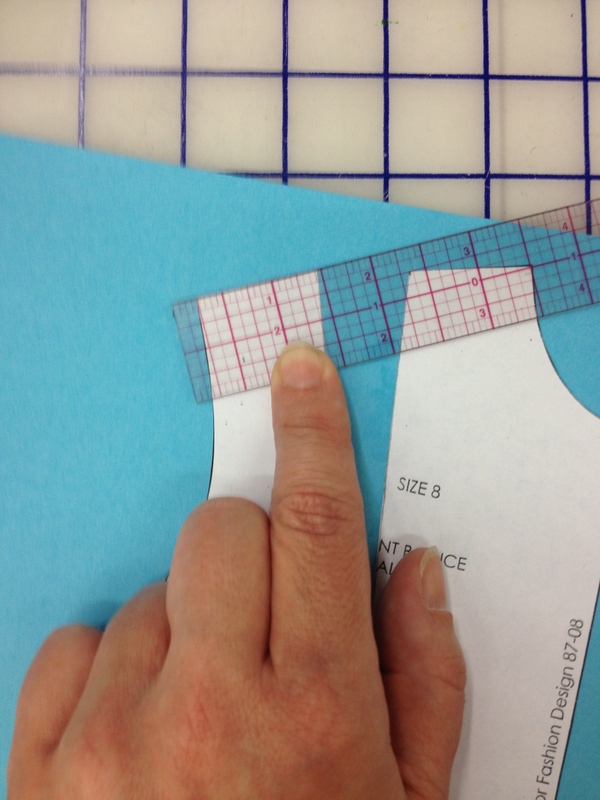 You will probably have to move your curved ruler during this process. Just like in front, square from your armscye down to your bottom guideline. Extend the bottom of the block by the same amount you extended the front.